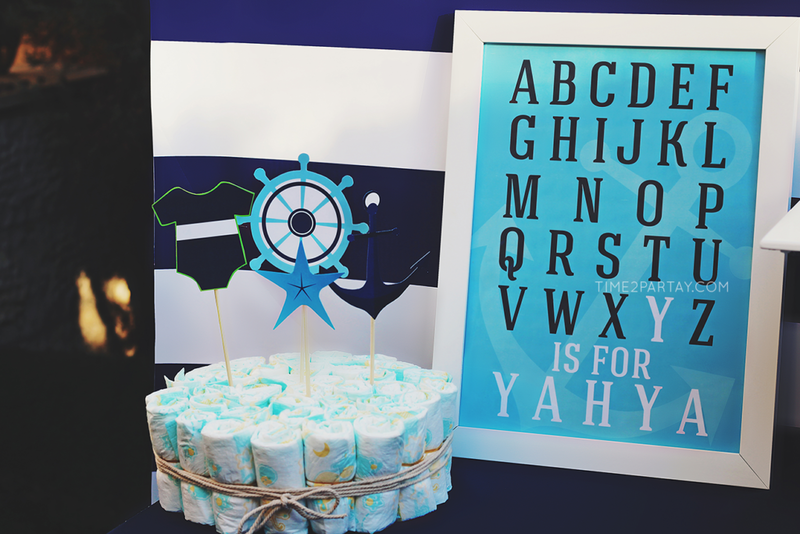 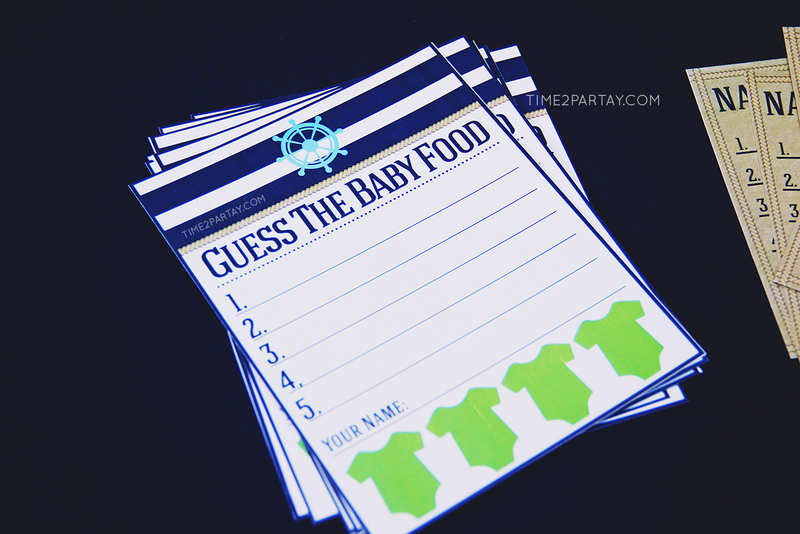 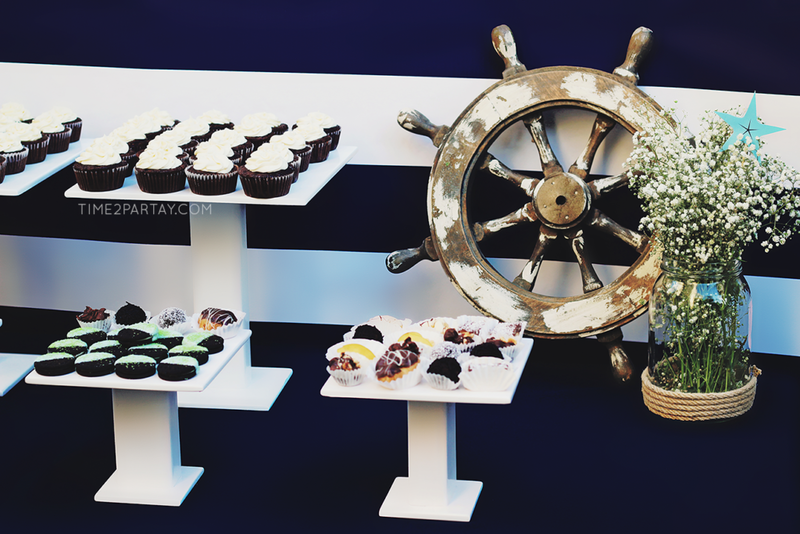 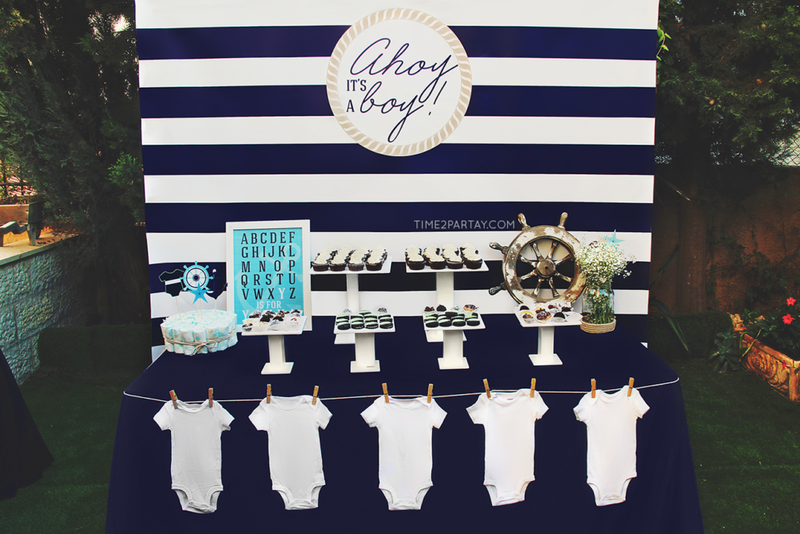 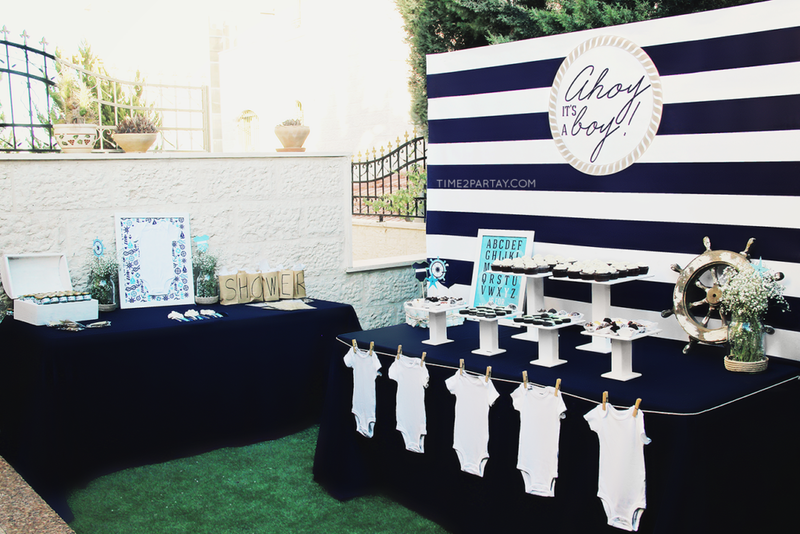 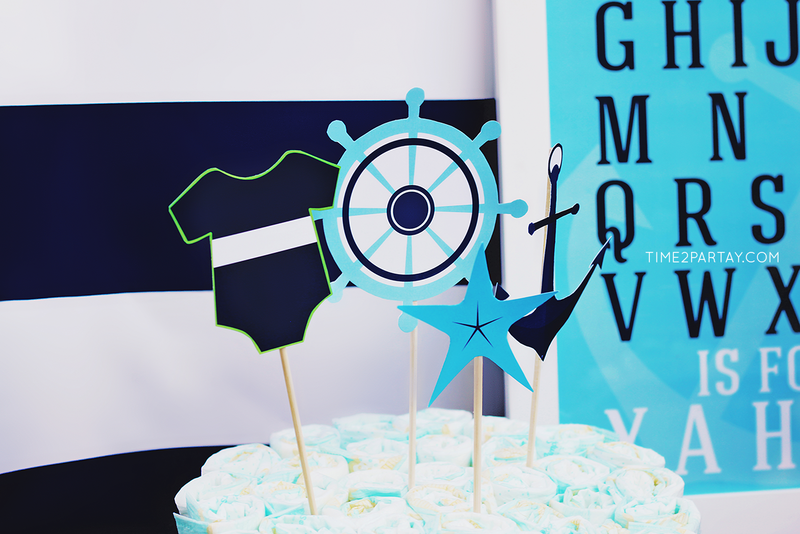 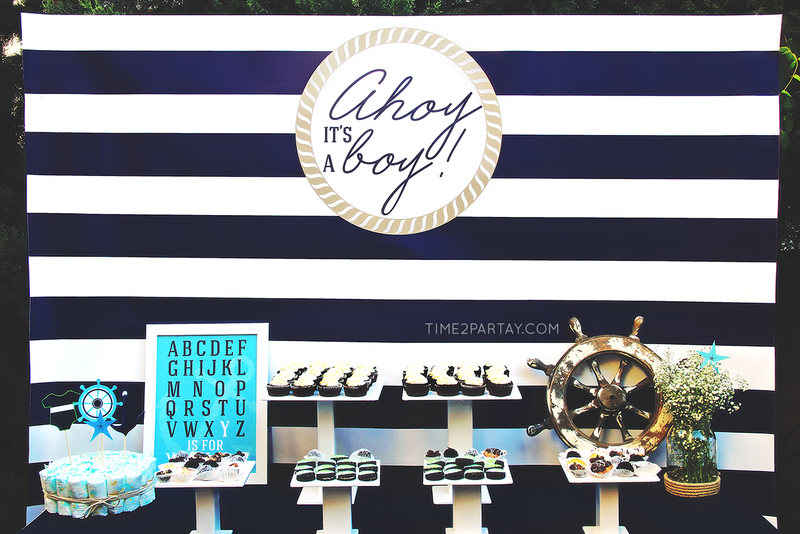 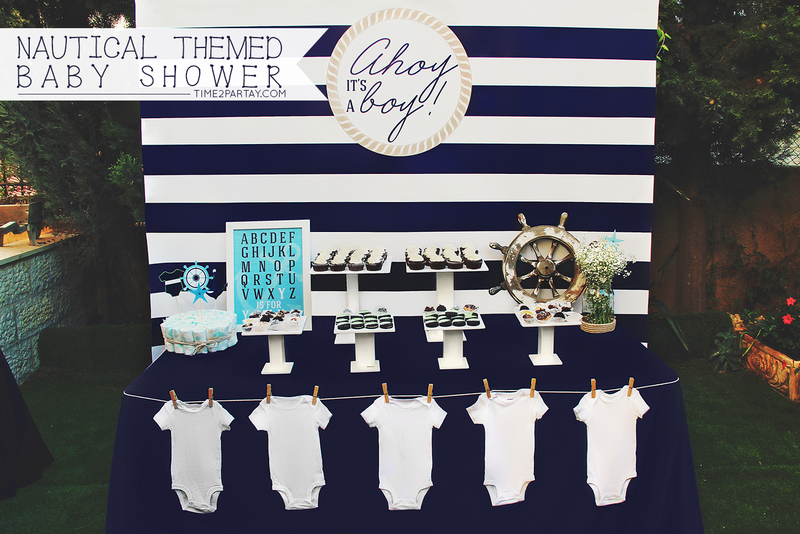 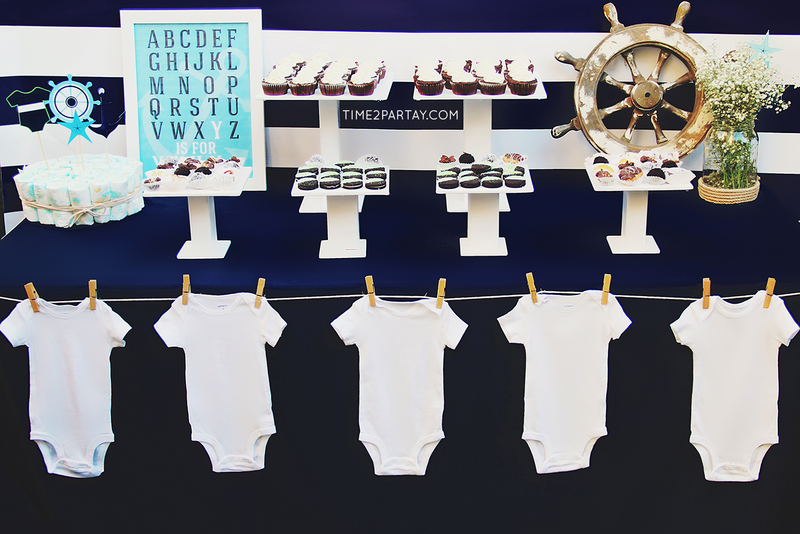 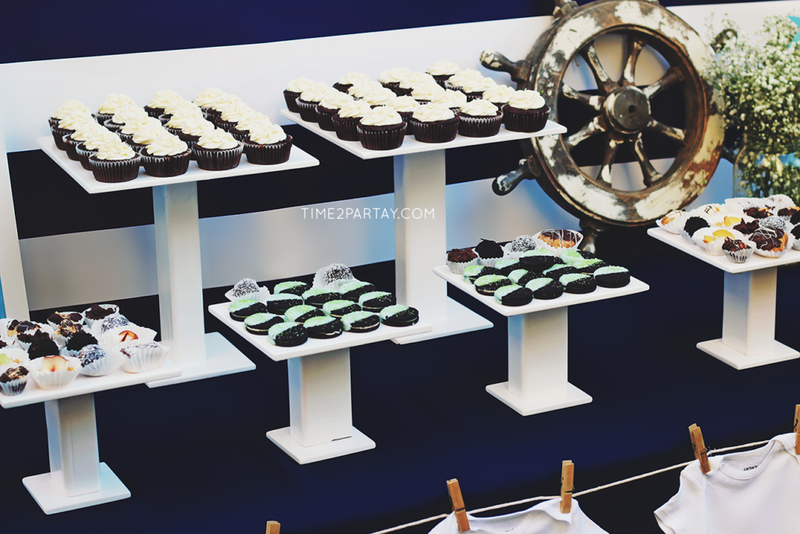 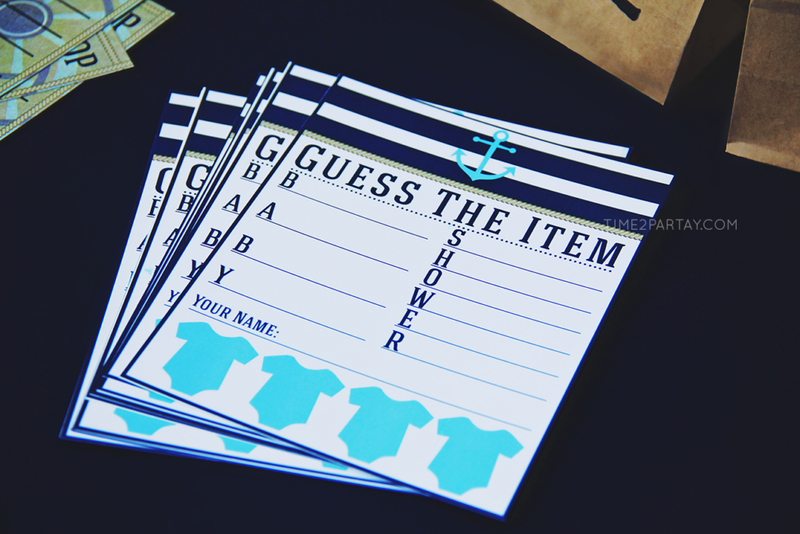 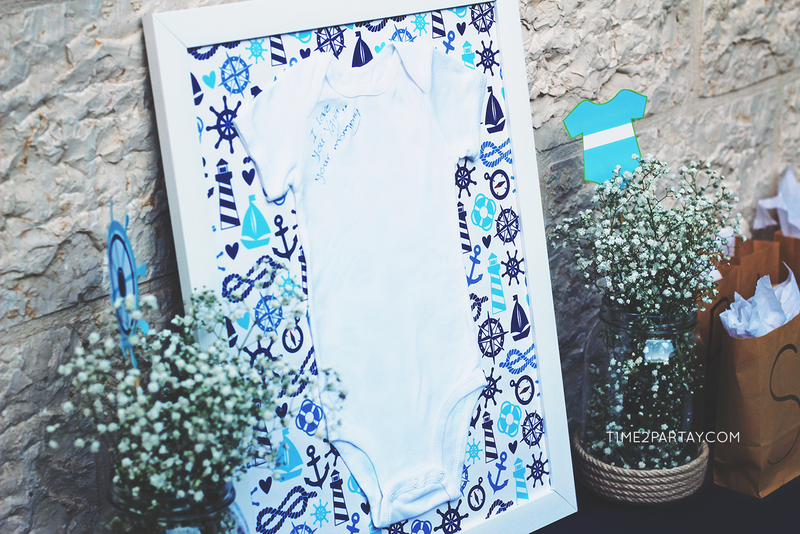 This nautical themed baby shower was in honor of a sweet mom-to-be and her little sailor, baby Yahya. 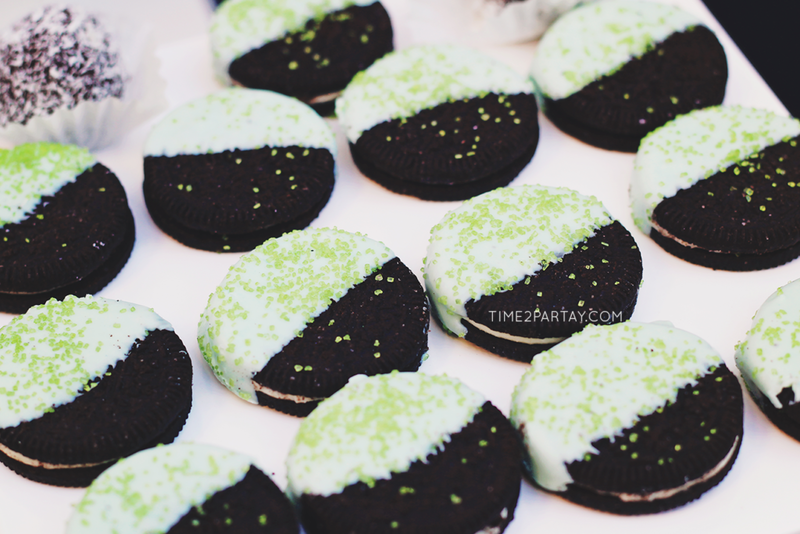 The colors we chose for this party were blue, green, beige, and white. 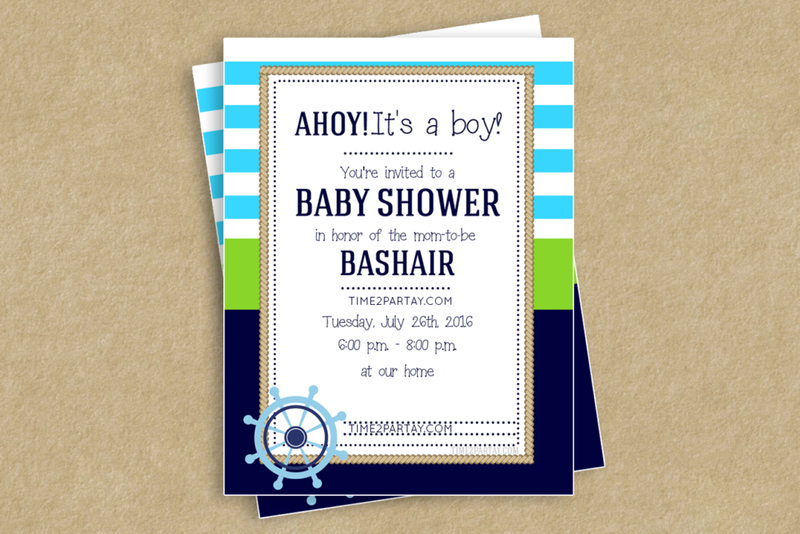 The mom-to-be welcomed her crew aboard by sending out the invitation we designed. 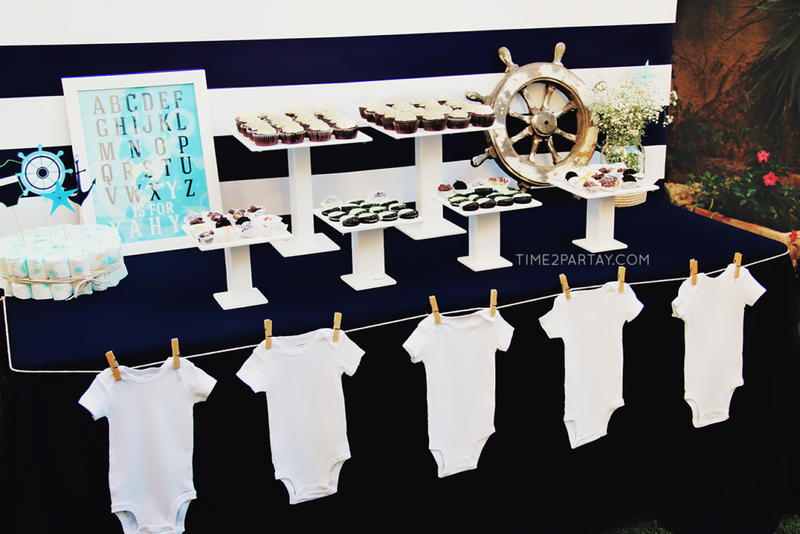 We decorated the dessert table by adding a nautical backdrop, a navy blue table cover, white onesies, a diaper centerpiece, a wooden ship wheel, and a personalized frame. 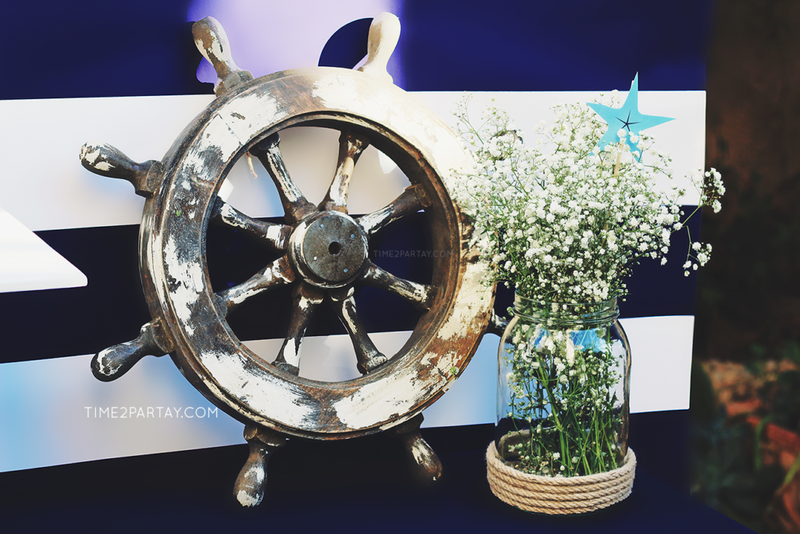 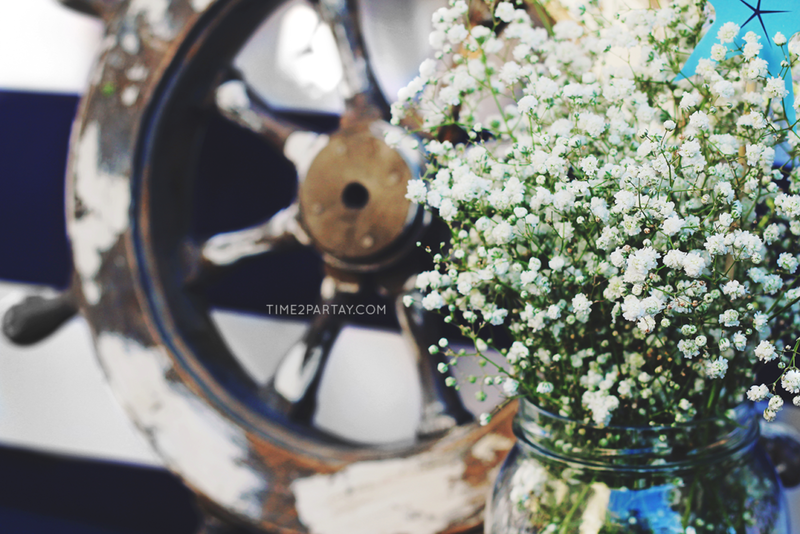 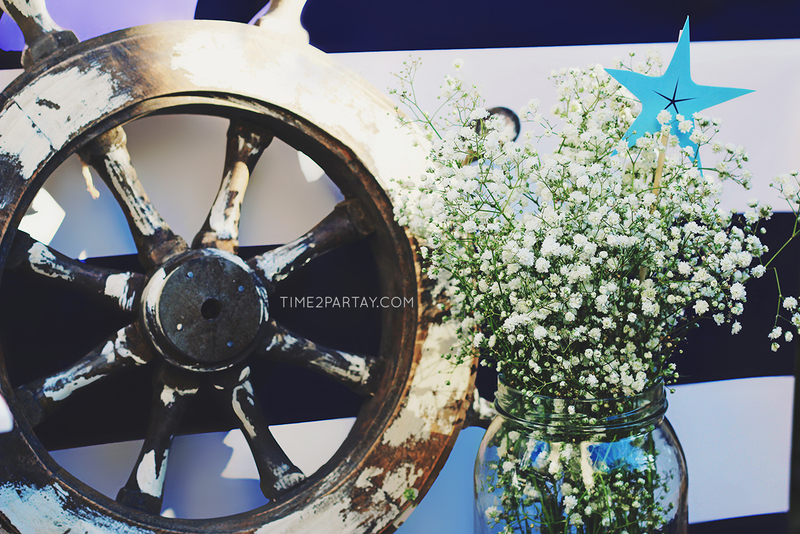 We placed baby breath flowers in nautical vases as part of the dessert table, activities table, and guest table decor. 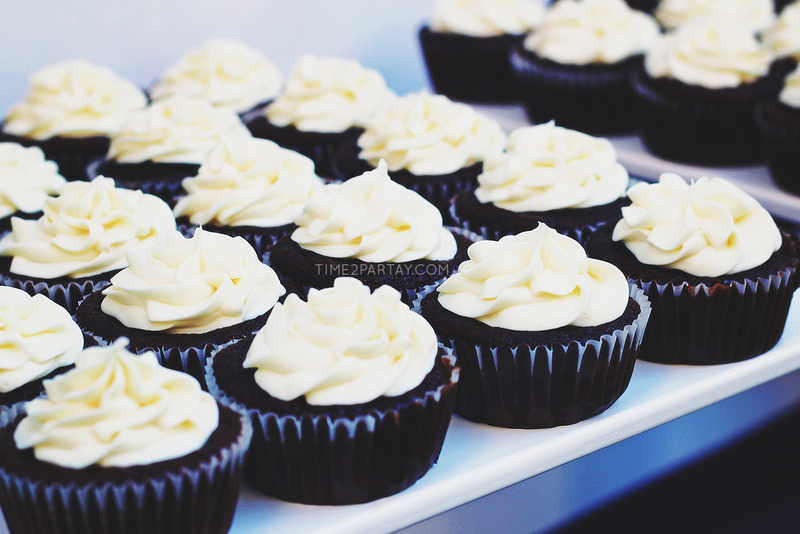 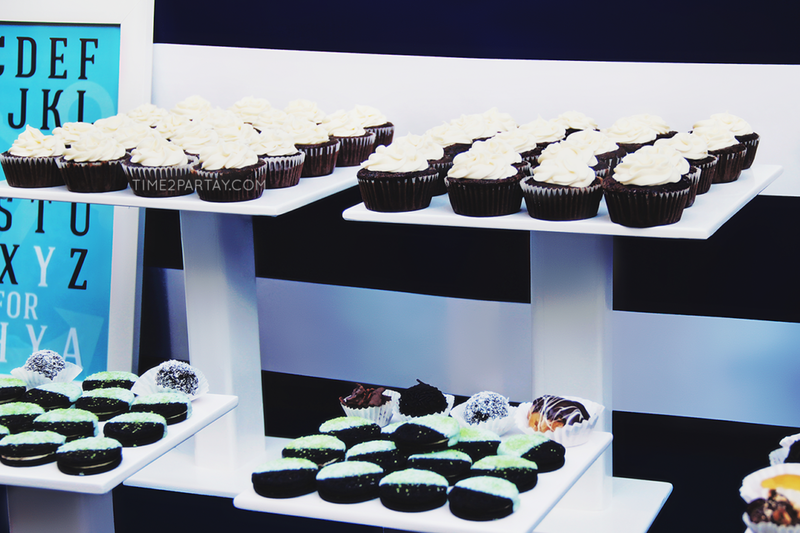 Our homemade cupcakes and Oreos dipped in chocolate were some of the sweets we added. 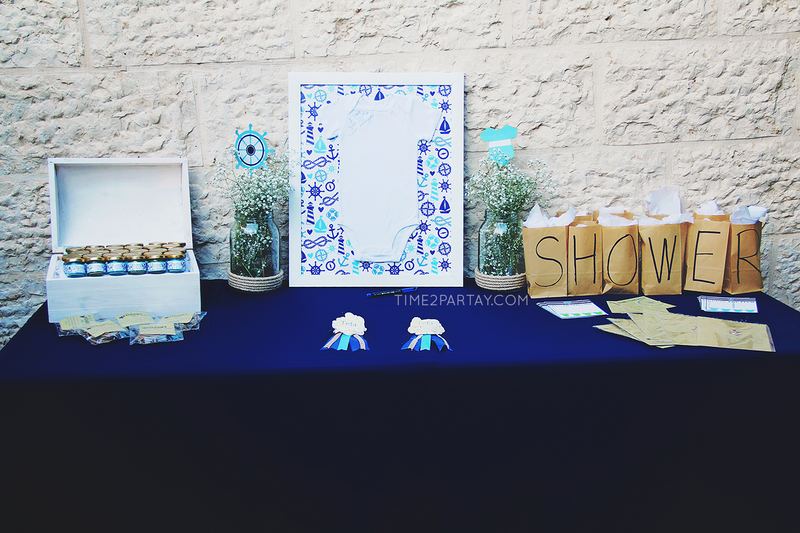 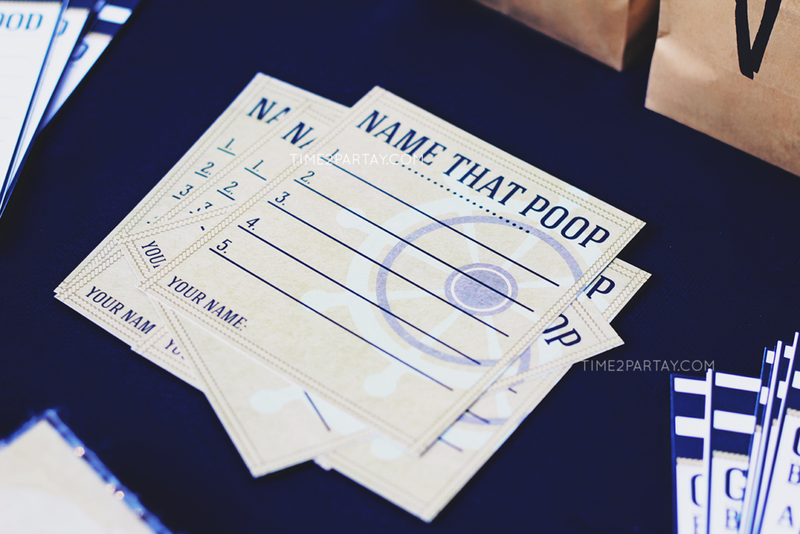 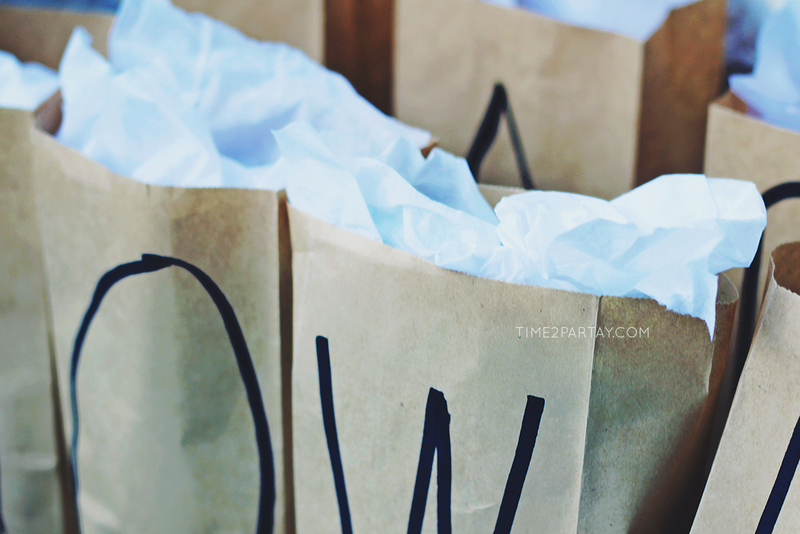 The guests loved the games that we prepared for this baby shower. 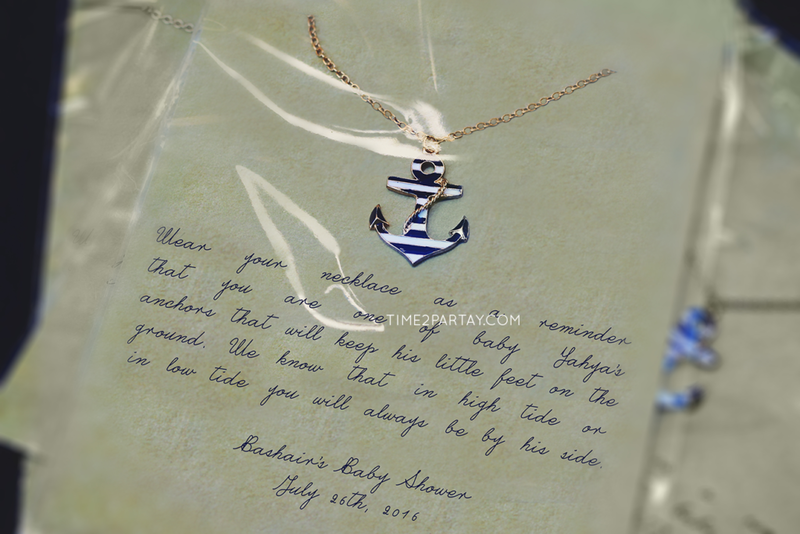 Each winner got to take home a necklace with an anchor charm that we packaged with a sweet message. 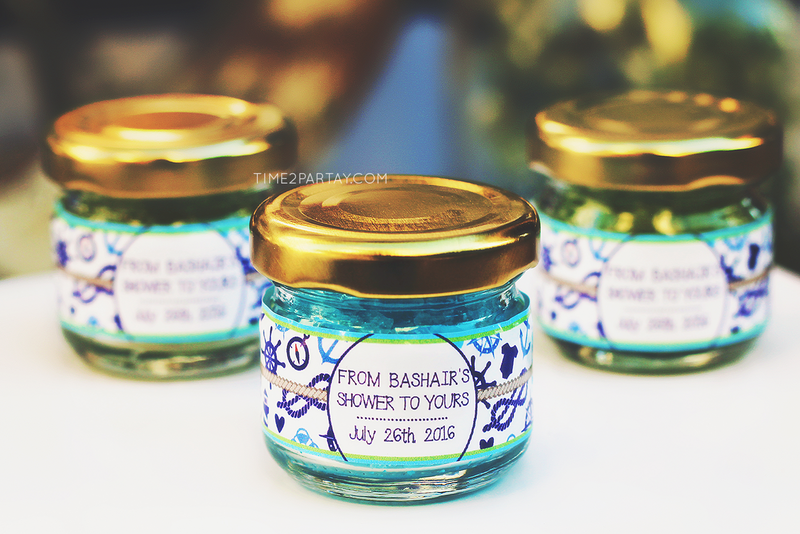 The favors were body scrub jars with labels that matched the theme. 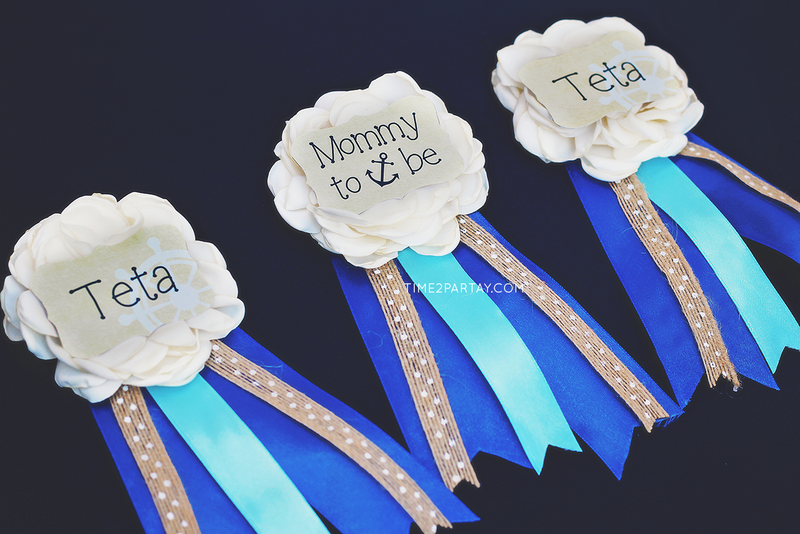 We made cute ribbon pins for baby Yahya’s mom and his grandmas to wear during the baby shower. 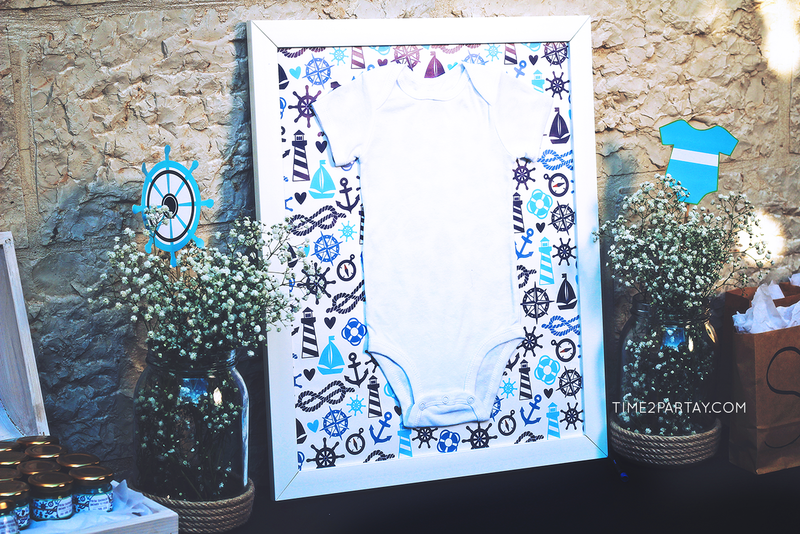 The guest book alternative was a onesie in a frame. 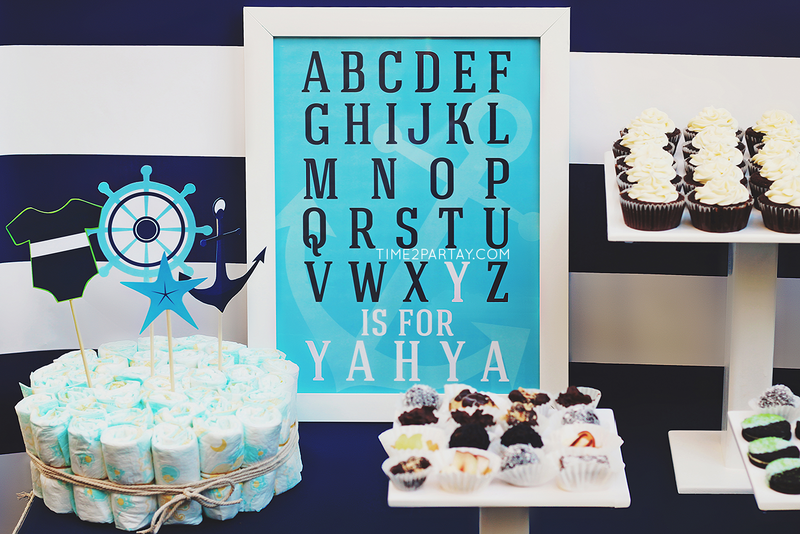 Baby Yahya is one lucky little sailor to have such a caring and loving crew awaiting his arrival. 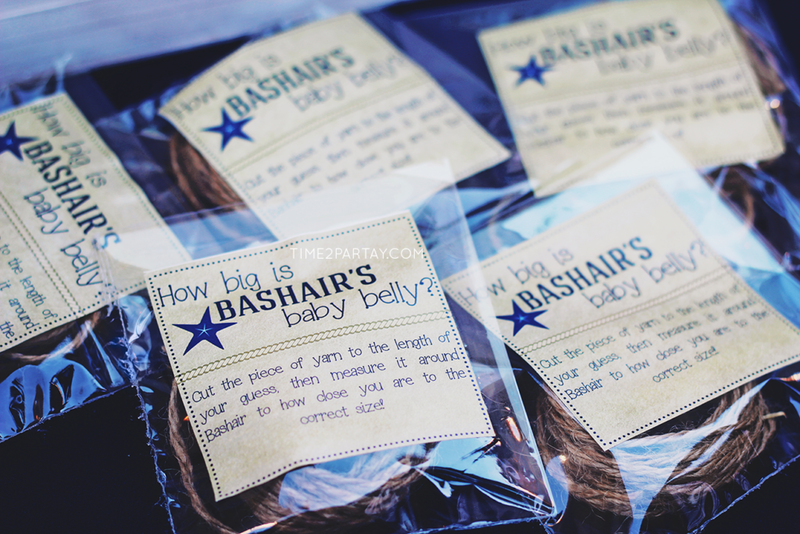 Congratulations Bashair!